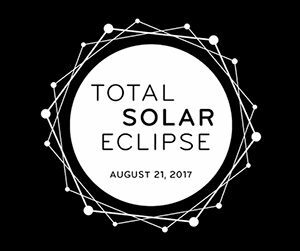 Get ready for the upcoming total solar eclipse which will cross the United States from Oregon to South Carolina on Monday August 21st. The Exploratorium is traveling to two locations in the path of totality to present a series of live HD video streams featuring telescopic images of the eclipse as well as live coverage programs in English and Spanish. 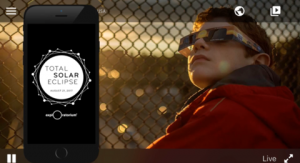 We’ve updated our Total Solar Eclipse app, free for iOS and Android phones and tablets, which lets you watch our live streams on your mobile device wherever you are. Our Total Solar Eclipse: Stories from the Path of Totality website provides access to the live streams, videos and articles featuring safe eclipse-viewing techniques, and expedition updates. We welcome museums, educational institutions, and libraries to create programs to engage their audiences around the event by showing the live streams of the eclipse at your organization or online. The telescopic views will be captured in high dynamic range and presented with various solar image filters. You can embed each video stream in your website or blog. We’re offering five streams: 1) Live coverage hosted by Exploratorium educators and NASA scientists, 2) live coverage in Spanish hosted by Exploratorium educators, 3) a non-narrated, 3-hour live telescope view of the full eclipse as seen from Oregon, 4) a non-narrated, 3-hour live telescope view of the full eclipse as seen from Wyoming, and 5) a live telescope view with live musical sonification and accompaniment by the Kronos Quartet.